Veterinary medicine contributes $3.3 billion to the economies of New England—and the region faces a shortage of as many as 658 veterinarians by 2014, according to a study released today by the Cummings School of Veterinary Medicine at Tufts University. The study—undertaken by the UMass Donahue Institute and commissioned by the Cummings School, the only veterinary school in the six-state New England Region—reveals that veterinarians and associated staff comprise over 20,000 jobs in the area. Moreover, for every 100 veterinary medical jobs in the region, an additional 59 jobs are created in related industries, the study indicates. Clinical practice—providing medical services for household pets, farm and food animals, and exotic animals—represents the largest percentage ($1.1 billion, or 65 percent) of direct veterinary expenditures in New England, which total $1.72 billion. Scientific research and development—which require animal health and husbandry services to test new drugs and devices and better understand animal and human health—comprises the next-largest category, with a total of 23 percent of veterinary medicine spending and 14 percent of the industry’s total employment. Laboratory animal veterinarians are responsible for the welfare of as many as 2 million laboratory animals in New England. 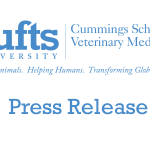 This study confirms the importance and economic impact of veterinary medicine in Massachusetts and New England, said Deborah T. Kochevar, DVM, PhD, dean of the Cummings School of Veterinary Medicine at Tufts University. 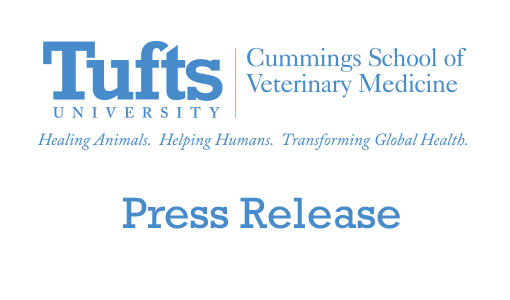 Cummings School is proud to serve the citizens of this region by educating veterinary professionals, advancing biomedical research, and serving as a clinical and public health resource for animals and their owners. In order to best understand the health of the animals in New England, we need to understand the industry that cares for them, said Dr. Christine Jenkins, Director of Academic Affairs at Hill’s Pet Nutrition, the study’s lead industry sponsor. This study does just that—and we hope it sheds light on the growing need for veterinarians in the workforce to ensure the care and safety of animals in the region. Vermont has both the highest rate of pet ownership in the region and the nation—74.5 percent—and the region’s highest per capita spending on veterinary clinical services ($97). Additionally, the state boasts the region’s highest rate of veterinary practice ownership (52 percent of clinical practice veterinarians are self-employed). Several leaders from the biomedical industry in Massachusetts spoke out in support of the study’s findings. In order for the biomedical and medical device fields to continue to thrive in Massachusetts, we must maintain a very high standard for ethics and care in our research divisions, said Kevin O’Sullivan, President and CEO of Massachusetts Biomedical Initiatives. As such, veterinarians are our greatest resource, and provide a crucial element for the growth of the biotech sector. The economy of Massachusetts is intrinsically linked with the growth of the biotechnical, pharmaceutical, and medical device sectors—and without a ready supply of veterinarians to oversee the clinical trials for these industries, the growth would be stifled, continued Thomas J. Sommer, President of MassMEDIC. The Commonwealth has a great resource in the Cummings School of Veterinary Medicine—not just as a excellent training ground for the next generation of veterinarians, but also as an economic incubator for small biomedical start-ups. This study brings the contributions of the Cummings School and of veterinarians in general to light. The Cummings School of Veterinary Medicine is an essential resource for the Massachusetts life sciences super cluster, said Robert Coughlin, President of the Massachusetts Biotechnology Council. The close proximity of this global leader in veterinary medicine is another reason why so many companies and institutions find Massachusetts the best place in the world to do business.